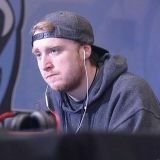 Dillon "Biddy" Clark is a Smash 4 player from New Jersey. He is known as the best Toon Link player in Tri-State, one of the best Toon Links in the World, and is currently ranked 9th on the New Jersey Smash 4 Power Rankings. He has taken sets of players such as Blank, 6WX, Shoyo James, Ralphie, JaKaL, K9sbruce, The Great Gonzales, and Arhungry. KTAR 7 July 6th-7th, 2013 25th 17th W.C.N. This page was last edited on April 14, 2019, at 22:08.